From the Summer 1962 issue of the Collins Signal magazine. 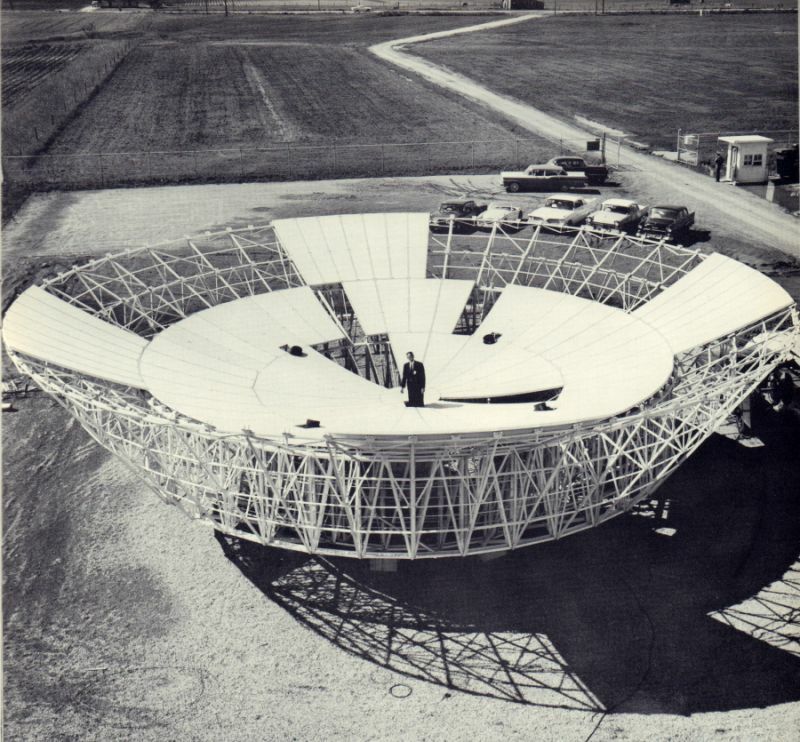 A Collins engineer is dwarfed by the tremendous size of this 60-foot-diameter parabolic reflector for a deep space tracking antenna. The structure under construction at the company plant at Richardson, Texas, is scheduled to be mounted shortly atop a 37-foot-tall tower and will be used in space communication research and development. One of the first jobs of the three-quarter million dollar project will be to test the effectiveness of the Echo II balloon satellite which will be launched this summer. Experiments in voice communication using man-made satellites and solar bodies also are scheduled. When mounted, the antenna, its mount and tower, will measure nearly 76 feet from ground level to feed cone. It is one of the most accurate antennas of its size ever built.